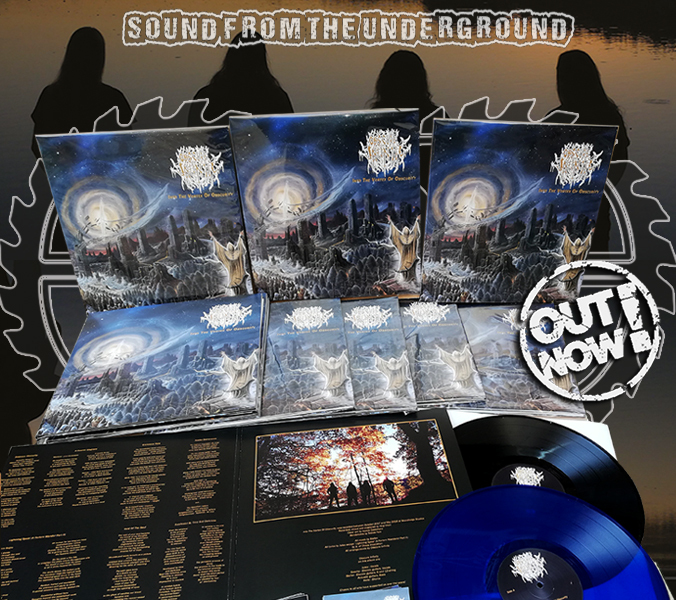 Defying Danger Records Vinyl-Release with an magnificant death metal milestone called „Into The Vortex Of Obscurity“ from OBSCURE INFINITY. With their full-length number four they starting pretty promising into the blackened death metal year. And the fouresome are back in best manner & ready for another great action in 2019. The 8 songs are pure Death Metal devastation. Fast and groovy material with good drumming, even better grunts, dirty and raw guitars but groovy as hell with the technical edge. The blue vinylversion is limited to 100 copies only & the pitch black edition has a limitation of 300 copies.